Are you gearing up for some upcoming anniversary celebration? Are you planning a surprise party for your parents or are you planning to surprise your spouse with an anniversary cake on the most special day of your lives? One of the safest options is always to fall back on the classics. You can always go for the chocolate cake with white frosting. You can have flowers as a part of your frosting as well. Make sure that there is a bow with a cake, since it adds a special dimension to it. Another particular favourite when it comes to classic anniversary cakes is the double layered chocolate cake. If you and your partner simply love to indulge in chocolate from time to time, then you should try this one out. Make sure that there are cherries on top to add visual delight. Another great idea for anniversary cakes is black forest cakes. Creamy and chocolate-y, these make the perfect anniversary treat. Chocolate bars and cherries work as great embellishments on the top of the cake. However, there is one thing that you need to be very careful about when it comes to ordering black forest cakes. Make sure that they are delivered on the day of the anniversary itself, otherwise chances are there that it might not last long. Also, make sure that you order a black forest cake of a size that is dependent on the number of people who will be there for the celebration, because this cake is a little tricky to store and it loses its taste when refrigerated. If you want to try out something really unique then you can take recourse to your photo album and get a picture of your first anniversary cake. You can customize your order to make sure that you get exactly the same cake for this anniversary as well. This will make for a nice trip down the memory lane! When you buy anniversary cake online, you can also opt for cakes with colourful frosting. These add a definite brightness to the entire celebration. If you want, you can also have a special message iced on the cake. All in all, coloured icing and frosted messages make an excellent combination for anniversary celebrations. If you are gearing up for a grand celebration of say 30 years of togetherness, then you should definitely go for a two or three-tiered anniversary cakes with the classic white frosting. 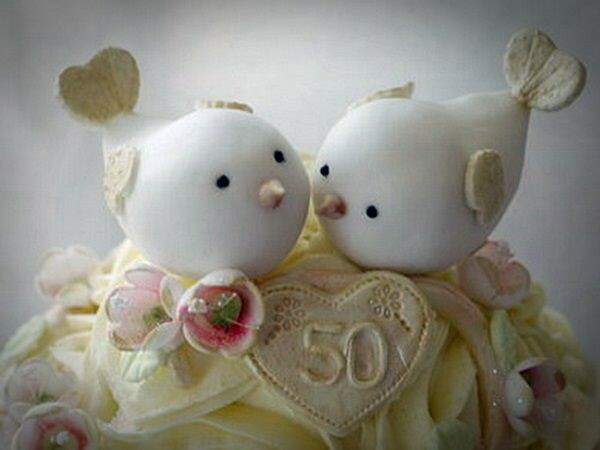 These are charming and make the perfect cake for a big celebration that involves a lot of people. Just make sure that you have a nice place to store this cake from the time of the delivery to the cake cutting. There are plenty of options that you can try out when it comes to anniversary cakes. Follow these tips and you will be able to order the perfect one!